Jang Man-Wol (IU) is the CEO of Hotel del Luna. The hotel is situated in downtown in Seoul and has a very old appearance. She made a big error many years ago and, because of this, she has been stuck at Hotel del Luna. She is beautiful, but she is fickle, suspicious and greedy. Koo Chan-Sung (Yeo Jin-Goo) worked as the youngest assistant manager ever at a multinational hotel corporation. He is a sincere perfectionist. He looks level-headed, but he actually has a soft disposition. Due to an unexpected case, he begins to work as a manager at Hotel del Luna. The hotel's clientele consists of ghosts. eu Mar 26 2019 2:55 am Please hong sisters, you better make this right. Yesss Mar 22 2019 1:32 pm Omg the writers who wrote a Korean odessey,masters sun and others. and my two favorite actors IU and Jin goo, damn isn’t this a miracle! I seriously can’t wait. Hanbin Mar 21 2019 10:33 am Oh my gosh! I can't believe this! My two favorite actors! Can't wait! manana Mar 18 2019 8:13 am OMG!!! I Can't Wait!! Jane Mar 16 2019 3:15 am Yay nice plot, ghost drama. Lily Mar 16 2019 3:13 am Is this a dream..... my fav actors! Finally together in a drama. Popcorn Mar 10 2019 11:38 am @Your Ahjussi, the writer is not the one who wrote The Legend of the Blue Sea/The Producers/You Who Came From the Stars but the HONG sisters who wrote A Korean Odyssey/Master's Sun/Big/Warm and Cozy and etc. Yes, they're one of the greatest writers to exist because all of their dramas are so good. Huhu. I cant wait for this especially that its IU, her recent drama My Mister was such a good one and Yeo Jin Goo just nailed one of the highest ratings for a cable drama for his The Crowned Clown so yeah, this is one of the most anticipated drama of all time. It's packed with a great team! Fred Mar 10 2019 12:35 am Petition to change title to: Hotel de la Luna. Del Luna is just wrong in Spanish. Please change. I am excited for this drama. But please change title. It is wrong in Spanish. Muchas Gracias! Kamsahamnida! 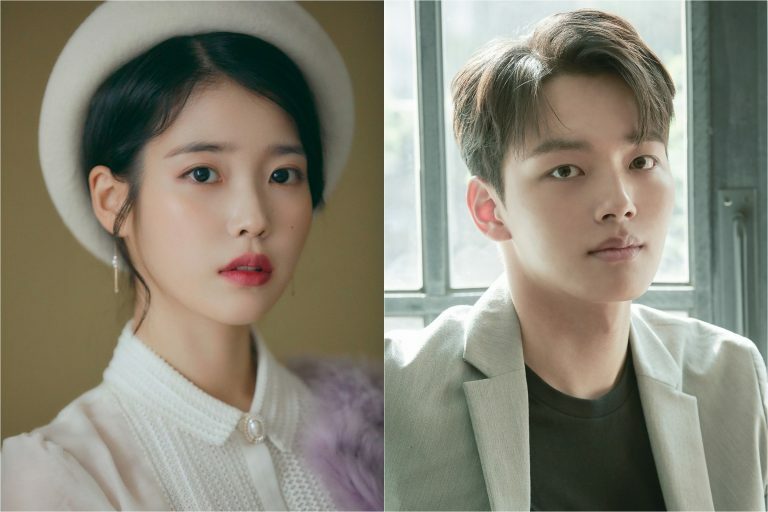 Your Ahjussi Mar 06 2019 8:21 pm Whoa, director of While you were sleeping, and Doctors, plu plu plus the writer of Legend of the blue Sea, plus plus plus the yeo jin goo, one of the best young actor in our generation, and if course, our ultimate and goddess, Lee Ji An, IU!!! Ahhhcckkk so excited for this! Sooyi Mar 06 2019 4:19 am I hope IU's hotel CEO character is like Han Ye-seul's spoiled but strong heiress from the Hong Sister's other drama, "Fantasy Couple". I liked how Han Ye-seul's character still had her old personality in her weakened state. KANA Mar 04 2019 12:30 am IF IU does take the project, I hope they cast a male lead she has NOT worked with yet!!! There are so many to choose from - Ji Chang Wook, Seo Kang Joon, Park Seo Joon, Park Bo Gum, Yoo Seung Ho, etc. - there are so many other actors out there. It just absolutely baffles me as to why so many commenters want her to be paired with people she already acted with. Renea King Feb 09 2019 3:36 am Can IU please do a drama with SSH? HEY Jan 16 2019 10:07 am Lee Kwang Soo Please. Zia Jan 15 2019 10:37 pm with kang ha neul or siwan please!!!! Dani Jan 14 2019 10:25 am I'm hoping for the IU ❤ to accept, and I hope the male protagonist masculine is someone super cool! Sandes Jan 14 2019 12:49 am Love to see new role of iu.